EDUCATIONAL EATS. 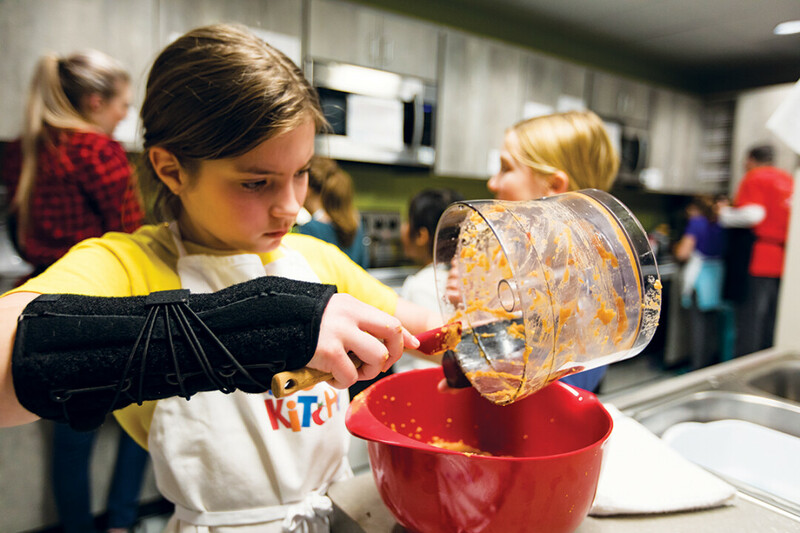 Eau Claire 4th grade students learn about food preparation, kitchen safety, and health and fitness at Kids in the Kitchen. 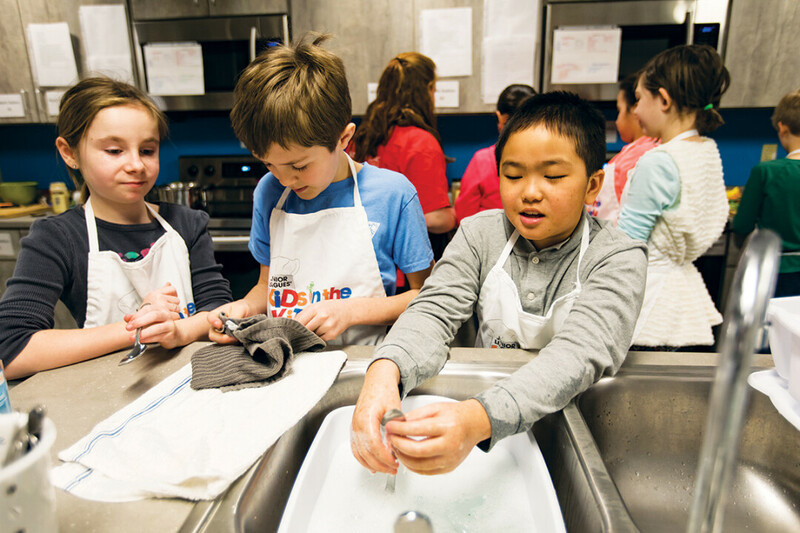 It was also during the recently completed school year that the Junior League began transferring the program to Lily Pad Lab, Moessner’s early and home education business. Moessner will take on full control of Kids in the Kitchen this year. Following the management transfer, Mayo Clinic Health System increased its contribution to the program. However, Junior League’s exit has left a need for fundraising. Moessner is reaching out to local businesses to get the money necessary to maintain and expand the program. Many families are donating privately as well, citing their appreciation for the service. 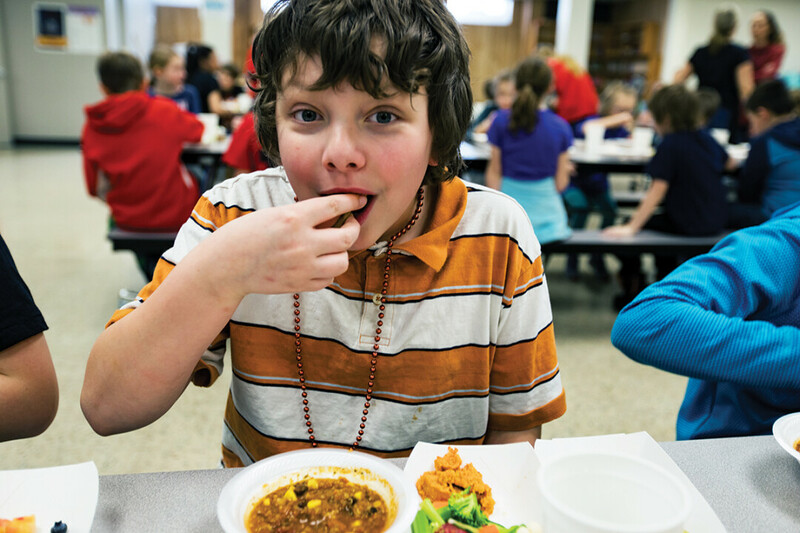 Moessner hopes to have $7,000 raised by the beginning of the school year. You can find more information about Kids in the Kitchen at www.lilypadlab.com.